I am endlessly grateful that I received the A. James Clark Opportunity Scholarship for Transfer Students. As young as nine years old, Ian Stringer knew what he wanted to be when he grew up: an astrophysicist. Every day after school, he would run home to watch the family’s VHS tape of “Star Wars”—so often, in fact, that he eventually wore out the tape. As a boy, Stringer longed to understand how those starships worked, but as an adult, he had to focus on more practical matters and begin working after high school. He was employed for more than 10 years with Sysco, the global food distribution corporation, in locations up and down the East Coast, until Stringer’s department was downsized in 2015. He realized that he had an opportunity to reflect on where he wanted his life to go, and he decided to follow his lifelong dream of working in the aerospace industry. 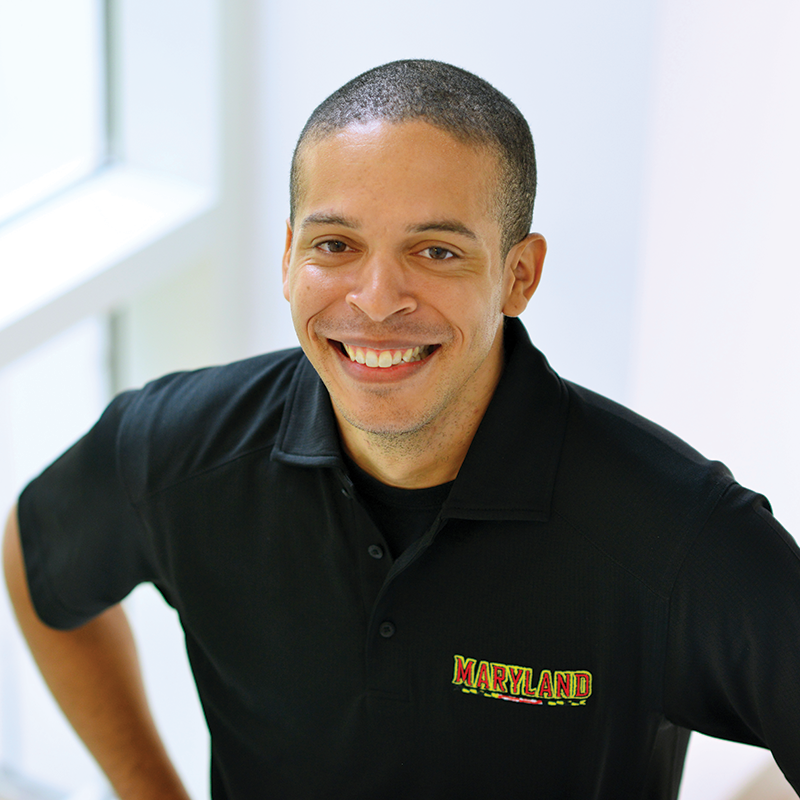 Because of the high cost of higher education, Stringer started by completing his associate degree in electrical engineering at Baltimore City Community College. Then, he began aiming for the best possible university at which to complete his bachelor’s degree. The University of Maryland was at the top of Stringer’s list, but without financial assistance, the cost would be too great for him and his wife to take on. As an older student, Stringer’s scholarship makes his education possible not just for him, but for his whole family. Even with a four-year-old son and an hour-long commute both ways from their home in Baltimore to College Park, Maryland, Stringer is able to make it work, while also supporting his wife’s aspiration to start her own attorney practice. These days, Stringer is fully immersed in the electrical engineering program at the A. James Clark School of Engineering, as well as undertaking a minor in physics. His current research interest in electric propulsion systems in the aerospace field has far-reaching applications, from making satellites more efficient and less costly to launch to—you guessed it—making interplanetary travel more realistic in the future. Learn more about Building Together: An Investment for Maryland by visiting buildingtogether.umd.edu.